For IT News Week 4 Sep 2017. PR - Oct 4, 2017 - Selfie & Win a ZenFone 4 Selfie Pro signed by Gong Yoo - A Special Contest! SP Jain School of Global Management Global MBA program has just been ranked amongst the TOP 20 in Forbes’ 2017 Ranking of the World’s best 1-year Full-Time International MBA programs. Every year, the graduates are ranked #1 in salary growth (5 years post-MBA)! SP Jain are extremely honoured to be ranked alongside some of the top institutions like IMD, INSEAD, IE, Cambridge, Oxford, Warwick and Imperial. SP Jain are also the youngest business school in the world (13 years old) to be placed along with some of the finest Business Schools globally. This is an achievement we attribute to our unique and innovative approach to business education through our three-city learning concept- Singapore, Sydney and Dubai. The Forbes MBA rankings, along with Financial Times and The Economist, are among the most prestigious MBA rankings in the world, and we are the youngest school to get all three. While the high rankings are not the only aspects that show why SP Jain is unique, they do illustrate our rapid rise as one of the world’s top business schools. Western Digital Corp., a global data storage technology and solutions leader, today announced that it is providing cloud and hyperscale data centers the capacity required by big data applications with the world’s first 14TB enterprise-class hard drive featuring host-managed shingled magnetic recording (SMR) technology. Western Digital’s HGST-branded Ultrastar® Hs14 delivers 40 percent more capacity and more than twice the sequential write performance of its SMR predecessor, enabling more economical and efficient capture of the growing volume and variety of data. Hitachi Vantara today announced the appointments of two new executives to support the company’s industrial internet of things (IoT) and services portfolios. Announced by Hitachi, Ltd. on September 19, 2017, Hitachi Vantara is a new business entity that unites the operations, technologies, intellectual property and human capital of Hitachi Data Systems, Hitachi Insight Group and Pentaho into a single, integrated company that is focused on digital innovation. The company is now aggressively expanding its executive leadership team to support the delivery of best-in-class software, solutions and services offerings for global enterprises looking to transform their businesses and innovate with their data. Brad Surak joins from GE Digital - where he most recently served as the company’s chief operating officer, as Hitachi Vantara’s chief product and strategy officer (CPSO) to oversee the development of the company’s solutions portfolio. In his new CPSO role at Hitachi Vantara, Surak will drive the company’s product and technology roadmap to bring intelligent innovations to market, that deliver exceptional value and outcomes. 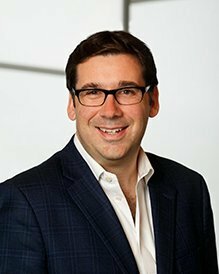 John Murphy joins Hitachi Vantara from IBM, where he most recently led product development and product management for the IBM Watson Data Platform. He also held key leadership roles in IBM’s data analytics and enterprise content management businesses. Reporting to Hitachi Vantara’s Chief Solutions and Services Officer Bobby Soni, Murphy will lead unified offerings management for the company, supporting development of its digital solutions and services portfolio and business strategy. Once your device is infected by the Coin-Hive code it becomes part of a botnet, part of a wide distributed network. In the case of coin-hive this powerful botnet is used to mine cryptocurrency that ends up in the botnet owner’s pocket. In effect, while CPU (Central Processing Unit) power is drained, unsuspecting victims are also footing the electricity bills, making spreading this code a very lucrative business for hackers. Kaspersky Lab is believed to be among the first security solutions to have detected the coin-hive miner code locally. Data from Kaspersky Security Network, Kaspersky Lab’s distributed cloud infrastructure, that provides verdicts on new malware specimens in a matter of minutes, based on the data from 80 million sensors all over the world indicates that the coin-hive code has been detected among Malaysian users since early October 2017. Kaspersky Lab’s Internet Security solution can detect, block and remove the coin-hive code. Kaspersky Lab products identify the code as HEUR:Trojan.Script.Generic. Other trending detections of this code include Trojan.JS.Miner.d and Trojan.JS.Miner. In general, the number of users that have encountered cryptocurrency miners has increased dramatically in recent years. For example, in 2013 Kaspersky Lab products protected around 205,000 users globally when they were targeted by this type of threat. In 2014 the number increased to 701,000, and the number of attacked users in the first eight months of 2017 reached 1.65 million. As businesses in Malaysia look for better and faster ways to leverage on the fourth industrial revolution and transform themselves, modern technologies such as cloud computing have a crucial role to play. To better equip businesses, Microsoft today announced the enhancing of its cloud portfolio with the launch of Azure Stack, Microsoft 365 and SQL Server 2017. Together, these solutions will add flavour to Microsoft’s existing array of cloud & hybrid platform, that has been at the helm of driving digital transformation for businesses over the past 25 years in Malaysia. Microsoft was joined by Malaysia Digital Economy Corporation (MDEC) to announce the launch. Starting Oct 5, 2017, ASUS Malaysia will be kicking off its nationwide contest – Selfie & Win a ZenFone 4 Selfie Pro by GongYoo! 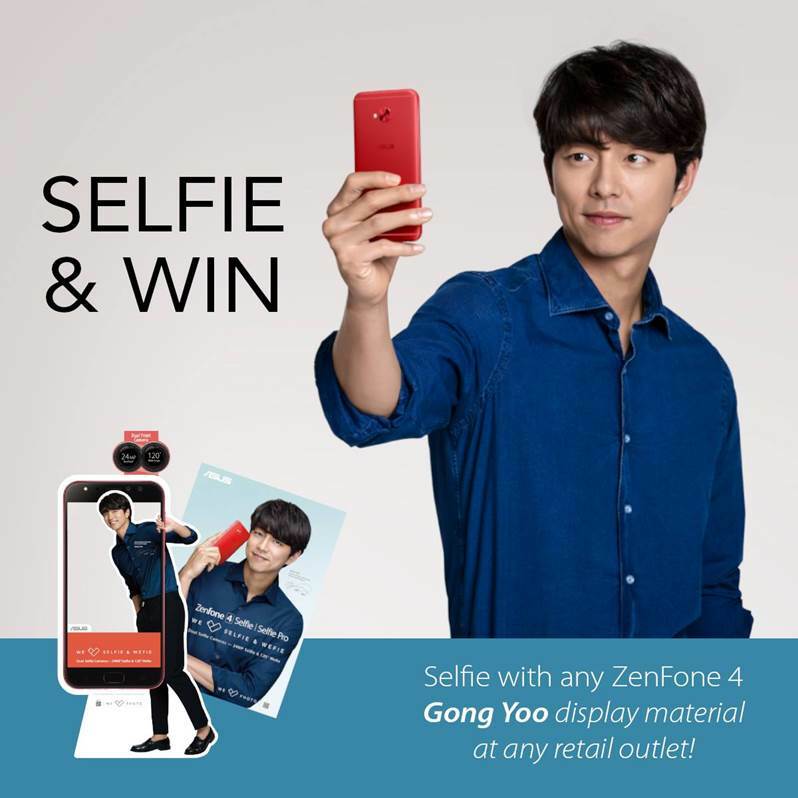 Prizes: 1 x ZenFone 4 Selfie Pro signed by Gong Yoo! Tell us what is your favourite feature about ZenFone 4 Selfie / Selfie Pro and why? Behold, the signed ZenFone 4 Selfie Pro by Gong Yoo himself. See it for yourself! Malaysia has fast-tracked its growth in data professionals through a unique Public-Private Partnership (PPP) initiative called Data Star programme - a data science finishing school designed to fast track the development of world-class data professionals who meet industries’ demands. A joint-effort between ASEAN Data Analytics eXchange (ADAX), Malaysia Digital Economy Corporation (MDEC) and renowned industry players, Data Star programme is will help Malaysia achieve 20,000 data professionals by 2020; a goal set by the Government in 2015. Data Star programme was announced at the Big Data Week Asia 2017 – a week-long event that featured international speakers of various expertise, leading exhibitors, sponsors, and satellite events focused on building a data driven ASEAN. Big Data Week Asia 2017 is organized for industry players, students and the public alike. The anchor event - ‘Next Big Tech Asia’ – is being held on 2nd October and 3rd October, at KL Convention Centre. This will be followed by Big Data Workshop – a platform designed for tertiary students and start-ups taking place from 4th – 6th October at ADAX office in Bangsar South. Finally, the event will conclude by hosting Big Data Tech Jam – a festival aimed at educating public on BDA and the role it can play in our daily lives. Members of the public are encouraged to participate in Big Data Tech Jam on 7th October and 8th October at APW in Bangsar. The National ICT Association of Malaysia (“PIKOM”) today announced the formation of its Cybersecurity Chapter. The Chapter is a direct response towards addressing the growing issue of online security threats and other incidents that have steadily increased in the past decade. In the wake of more frequent and damaging cyberattacks, malware incidences and the recent ransomware experience, PIKOM believes that greater awareness and stronger policies are needed as the present measures are insufficient. If left unchecked, the potential fallout would be huge, given the growing role of the digital economy and its rising contributions to the overall ICT industry and the Malaysian economy. The Cybersecurity Chapter will be helmed by Alex Liew, a PIKOM Councillor representing Glocomp while former PIKOM Chairman, Woon Tai Hai of BDO has been appointed as Advisor. Members of the committee include leading Infosecurity names such as Cisco, Symantec, Fireeye, Trend Micro, Dimension Data, Mesiniaga, F-secure and LGMS. Aside from raising awareness, the Chapter’s other objectives include advising government on policy formulation to combat cybercrime, engaging academia in the nurturing of Infosecurity talent, promoting career prospects in Infosecurity and promoting knowledge sharing and propagation of best practices via CIO engagement across industry verticals. The new Chapter will be governed in line with the PIKOM Constitution with members deciding on strategies and programmes whilst PIKOM will serve as its Secretariat. This is PIKOM’s second new chapter for 2017 after the formation of its eCommerce Chapter in January 2017. MediaMath today announced it is allocating 1% of equity to charity via MediaMath.org, as a Pledge 1% partner. MediaMath will commit 1% of their time, technology, and resources to MediaMath.org – MediaMath’s philanthropic arm – as a part of the partnership with Pledge 1%, a corporate philanthropy movement dedicated to making the community a key stakeholder in every business. Pledge 1% is an effort spearheaded by Atlassian, Rally, Salesforce and Tides to accelerate their shared vision around integrating philanthropy into businesses around the world. Pledge 1% encourages and challenges individuals and companies to pledge 1% of equity, product and employee time for their communities, because pledging a small portion of future success can have a huge impact on tomorrow. Pledge 1% offers companies turnkey tools and best practices, making it accessible for any company to incorporate philanthropy into their business model.